What a relief! One thing less to fight with 🙂 A quick search on internet reveals there are lots of different nettles. Your nettle must be a quite nasty one. The stinging nettle we have in Scandinavia isn’t very kind either, but doesn’t sting through thick gloves. May 22, 2016 - 7:19 pm Marilyn F.
Nothing like getting free nutrition in your own back yard! I picked some sorrel dock a couple weeks ago, boiled it and had it for dinner two nights. It had a wonderful taste. 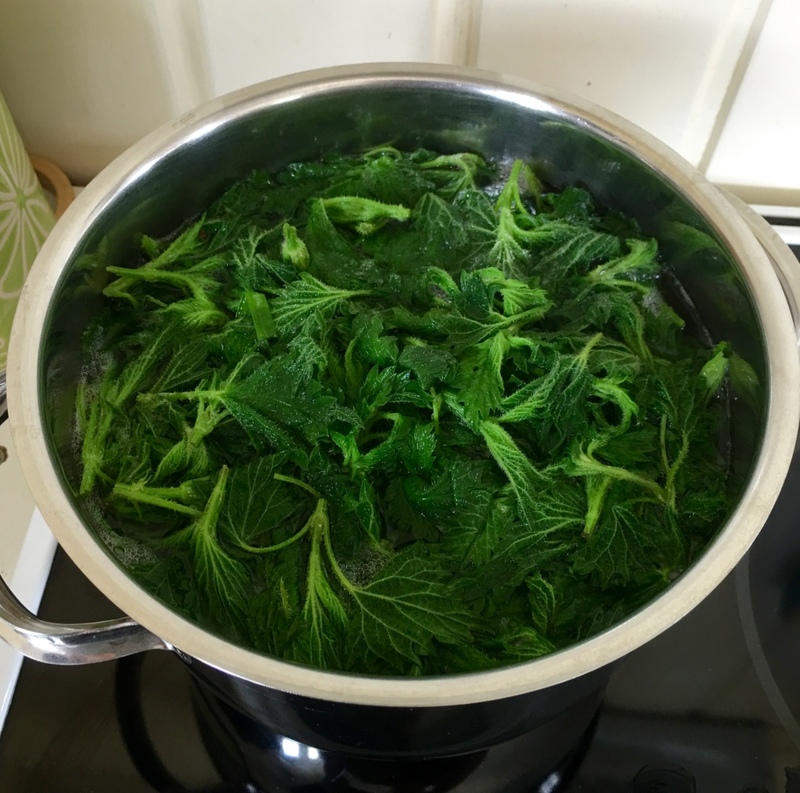 Have you tried dyeing with nettles? Great idea to freeze packets. 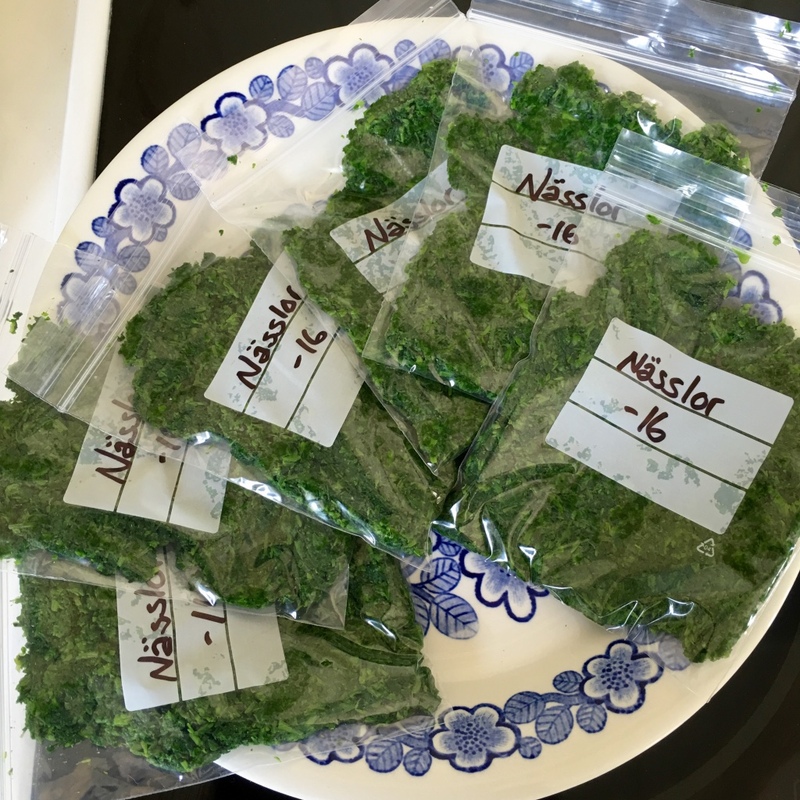 I sent this on to neighbors as they use nettles in tea and soup have spun a lot of nettle fiber, some prepared in the states and some prepared in France. The latter would make a great ‘hair shirt’ 🙂 but the ones prepared in the states were quite easy to spin and work with. I used the yarn to weave with alternating with linen to make a purse. I wonder what nettle that is? Ramie? It’s really hard to harvest the fibers from the nettle we have here. Yes, nettles as tea can be delicious! Here’s a recipe: bring water to boil in a big kettle. 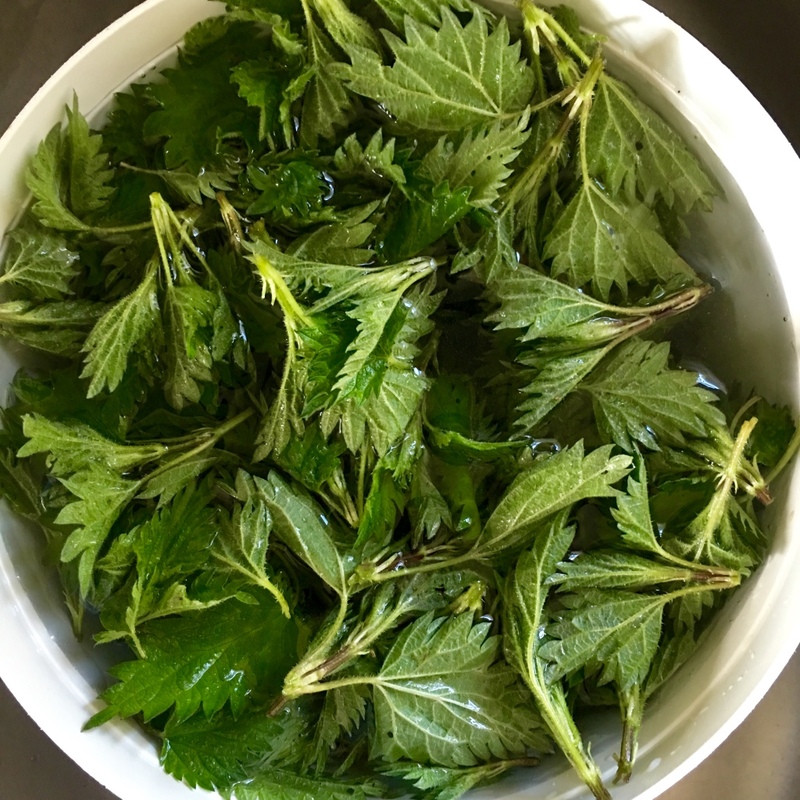 Add the top leaves from nettles, soak in the hot water no longer than 20 seconds. Take them out, spread on a sheet or bath towel, let them dry. They have to be really dry before you store them in a dark glass jar. 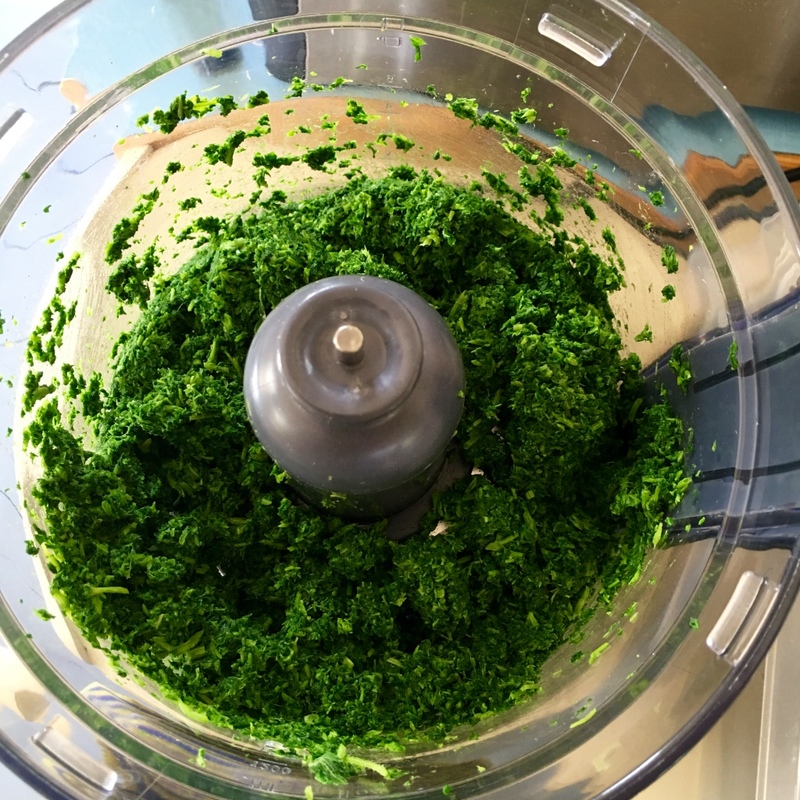 This method preserves the vitamins and minerals, and gives the nettles a lovely flavour. No, this is NOT ramie! I got quite a surprise when I ordered something called nettles from a place in TX and these came from AU and it was sleek ramie. What I spun was very coarse and you can find pictures of Nepalese women spinning it. and this guy who spun/wove and sewed his clothes…I later found out he sent the fibers to Belgium to be processed. That was interesting! The Himalayan nettle is bigger than the nettle we have in Scandinavia. There’s an ongoing discussion about nettle fibres in different spinning forums, I remember one from the 90s here in Finland, and today I saw it’s starting again in a Finnish group. Only a few months ago the Swedes where involved in a nettle discussion. But skills in getting spinable fibres from our stinging nettle are sparse. I’ll share your link in both groups! May 23, 2016 - 3:00 pm Marilyn F.
Hahahaha. Luv your response. I too do not have time for natural dyeing. I did some many years ago when I was beginning spinning and had a farm. Perhaps when I retire I’ll find time? Perhaps not. I was thinking yesterday that I have a lot of dye pots and tools scattered here and there in a shed and a garage that I should organize and put all in one place. Hmmmm.